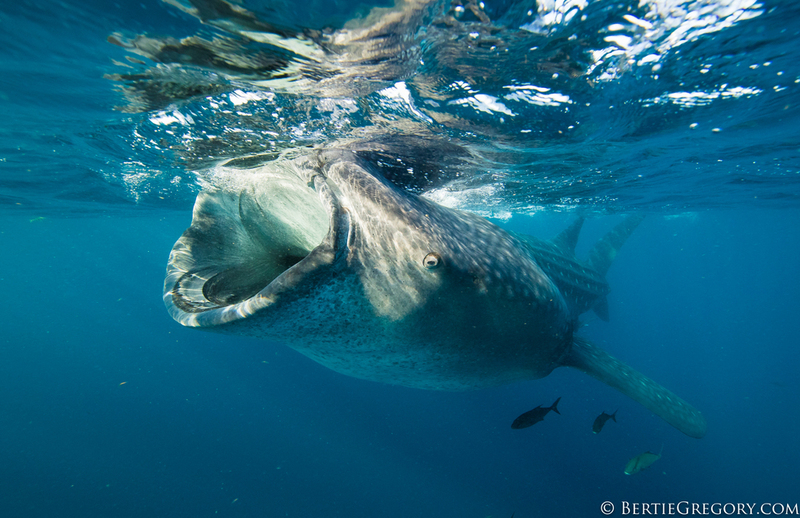 Scroll down to meet the biggest fish in the world, the whale shark. Despite being a shark that can grow over 12m long (40ft) and weigh over 20 tonnes, they don't have big teeth. Instead, they have about 3000 very very tiny teeth. Similarly to the baleen whales (e.g. humpbacks), they are filter feeders. Here you can see this huuuge individual sucking in a big mouthful of water to extract the plankton. I was lucky enough to film and photograph the largest known aggregation of whale sharks on the planet off the coast of Mexico over the weekend. Having a school bus sized animal swim towards you out of the blue is certainly a feeling I'll never forget! 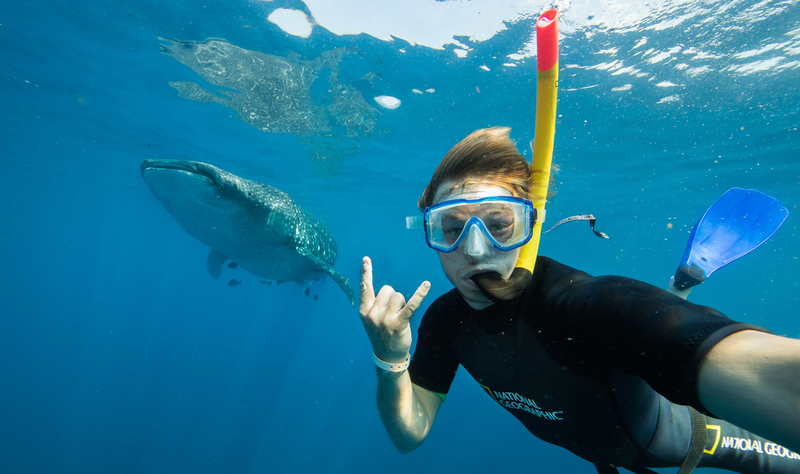 Whale sharks weren't the only marine megafauna that we got up close and personal with though. Click next below to see an absolute whopper of an oceanic manta ray with a wingspan of over 3m/12ft! 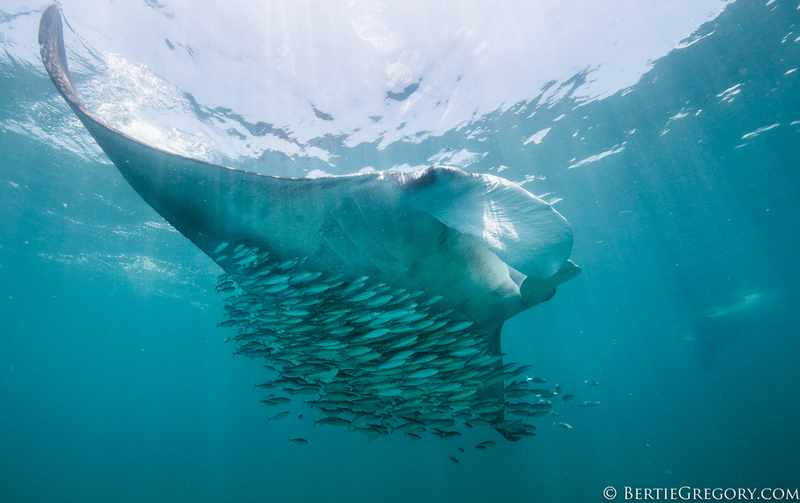 It was fascinating to learn that the baitfish in this shot were using the manta's body as a shield from aerial predators. Just after I got out of the water, one fish strayed a little too far from the manta. The pelicans soaring overhead spotted it and lets just say that fish won't be making the same mistake again!